How many of you have kids getting ready for back to school? I know when I was in school, I loved science quite a bit, especially anything involving weather. As an adult, I still love learning more about the weather, looking at weather patterns, and of course, playing with different tech gadgets relating to weather. I was amazed when I found out just how many awesome products are out there that let you take a glimpse at the weather outside or even let you measure just how much rain you are getting at home ( for people who try gardening like me). Luckily, there are a variety of inexpensive products out there for homeowners who want to learn more about the weather! Want an easy way to predict the weather outside and listen to make relaxing before bed even easier? If so, we think you will love the La Crosse Technology Wireless Weather Station with Bluetooth Speaker and Atomic Time and Date. This atomic clock never needs to be set since it picks up the time and date automatically. As well, it can detect the temperature both indoors and out, including the humidity, helping you plan what clothes to wear for that day’s activities. Of course, it also shows weather predictions, helping you keep you and your family prepared. It even includes its own alarm clock with programmable nature sounds or the ability to play your own music through the speaker, allowing you to customize your morning experience. Oh, and it even has a USB port for charging your phone. Currently, it is available on the La Crosse Technology website for only $109.95. To learn more, make sure to watch the video below! 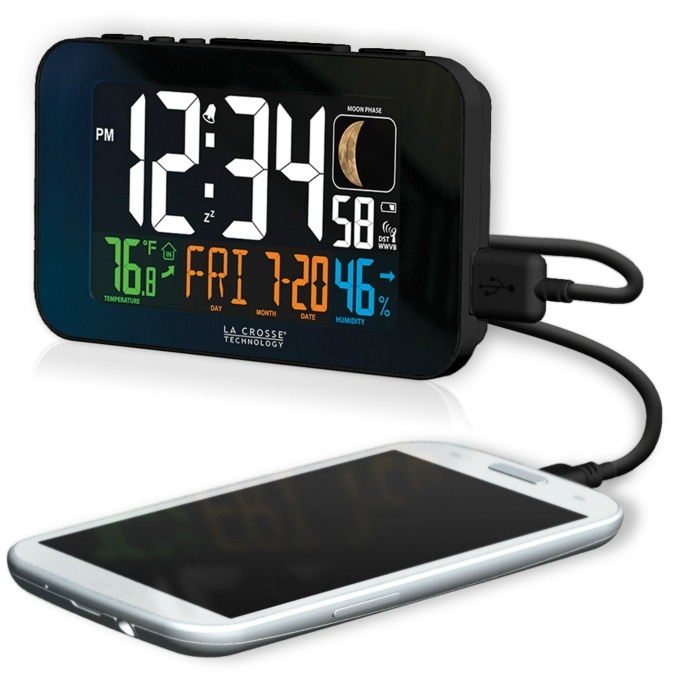 Looking for an alarm clock that automatically sets the time and allows you to charge your phone? If so, we think you will love the La Crosse Technology Atomic Alarm Clock with US Charging. This fun little alarm clock automatically adjusts itself to give you the correct time, date, temperature outdoors, and even phase of the moon. To help make sure your room is the preferred temperature at night, it even gives you the current temperature where it is in your home, as well as humidity, to help you make your home as comfortable as possible. To make life even easier, it also has a USB port for charging your phone at night. Currently, this clock is available for $24.99 on the La Crosse Technology website. Curious how much water your yard (or garden) gets when it rains? If so, we think you will love the La Crosse Technology Waterfall Rain Gauge. This easy to read water gauge is designed to make measuring waterfall in your backyard quick and easy. 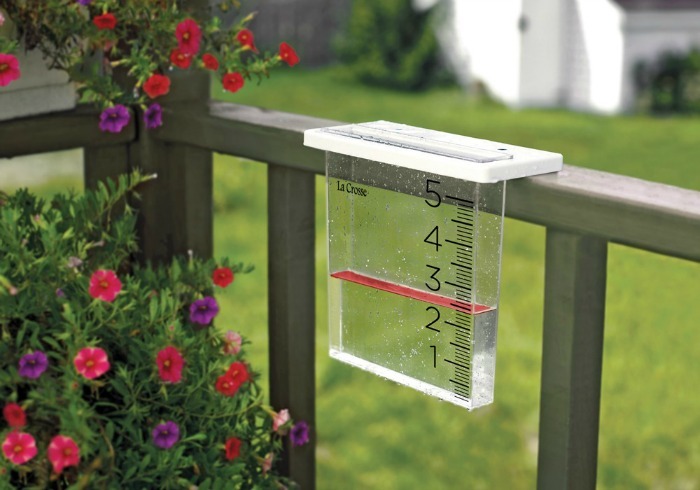 With large numbers and a floating rain marker, you can easily read the level of water collected. Best of all, it is designed to where you can easily empty and clean the gauge after each rainfall. To make things even more convenient, it includes a mountain bracket to allow you to mount it to your deck, a post, or fence. Currently, it is available on the La Crosse Technology website for only $14.95. Want to see more cool products? Follow La Crosse Technology on social media! I love monitoring the weather, so this looks so great! I thank you for sharing this company’s invention with us. I probably wouldn’t have known about this for several extra months, or even years. I am a fanatic about the weather. i would enjoy this. I love all weather related things. I’d like to get the rain gauge. I think this is just plain nifty! This would be fun on a lot of levels. It would also be educational. This is so nice my grandaughter would enjoy this weather station. This is really cool! I have an accessory that tells me the temp, humidity and barometric pressure – knowing rainfall, too, would be amazing! This would make a great hobby for kids with an interest in nature! I have to check this out. I have always wanted one like this. Love this review. I’ve never heard of this company and every time I buy a weather station it always has problems. This one sounds terrific. Love that you can listen to music and plug your phone into it too. Thanks so much for the review, I’ll have to check it out. Thank you for this great review. We have a rain gauge, but this La Crosse makes me sad – Why don’t we have one? The wireless weather station looks really interesting! This would be a great gift for my Jacquie.She is expecting in April of 2017.They are also moving into a house soon! I really like that rain gauge. The only ones I have seen sit out in your yard, and the mower can’t go over it, so pointless.